Come take a look inside Urban Conquest and get a preview for some of the new rules for the Cities and Streets of Death. 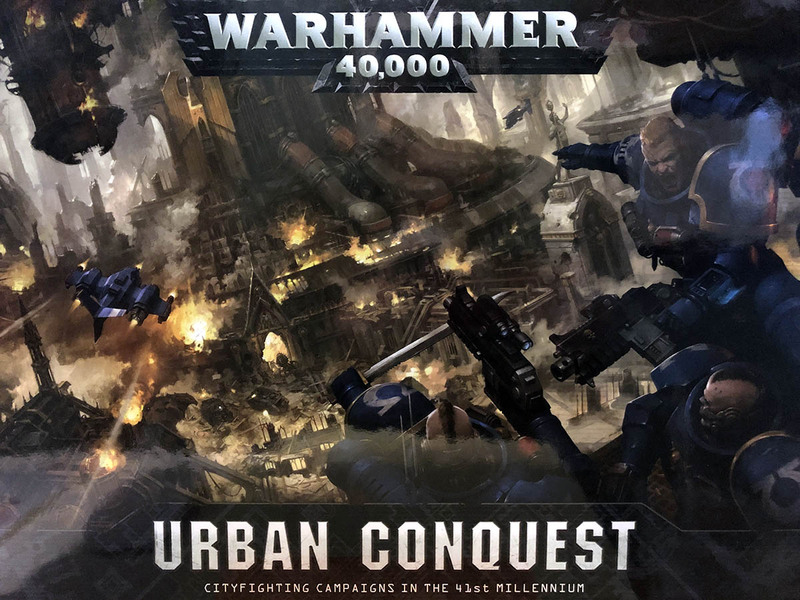 Urban Conquest is a game of city-fighting, and inside the boxed set you’ll find the rulebook which contains all the rules you need for running campaigns set in the cities (of death) of the 41st Millennium. 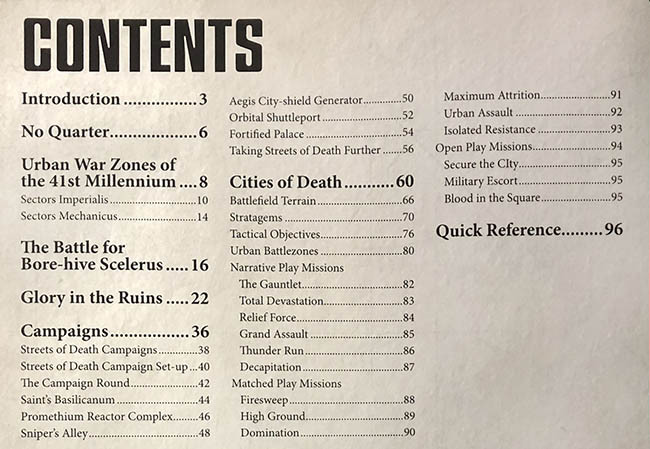 Inside you’ll find new rules for the various Sector Terrains, campaign play, new missions, battlezone, stratagems, and of course the Cities of Death printed here as well. Take a look at the Table of Contents and see for yourself. Now let’s take a peek at the Cities of Death quick reference. 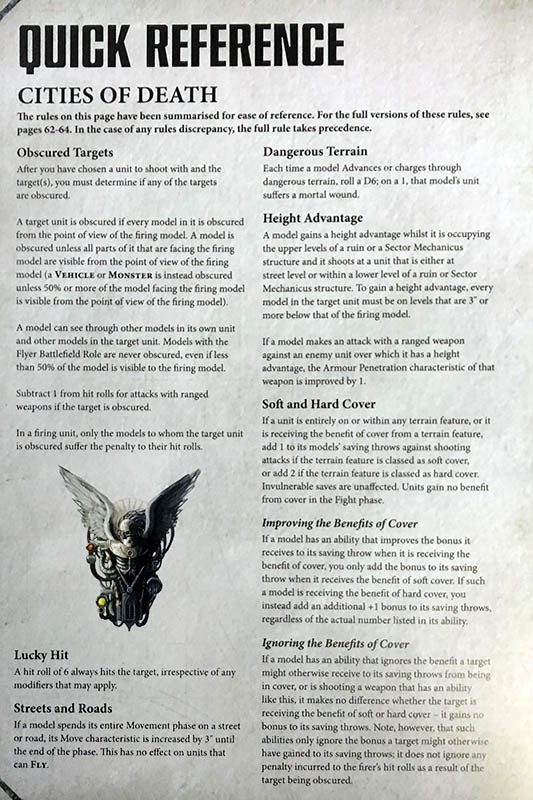 The Summary page goes over everything you’ll need to expand the advantages you get from positioning. Higher ground, harder cover, all of it gets to take the spotlight for at least a few minutes, giving players a richer tapestry of Urban Battlefields to draw from and play with in the 41st Millennium. 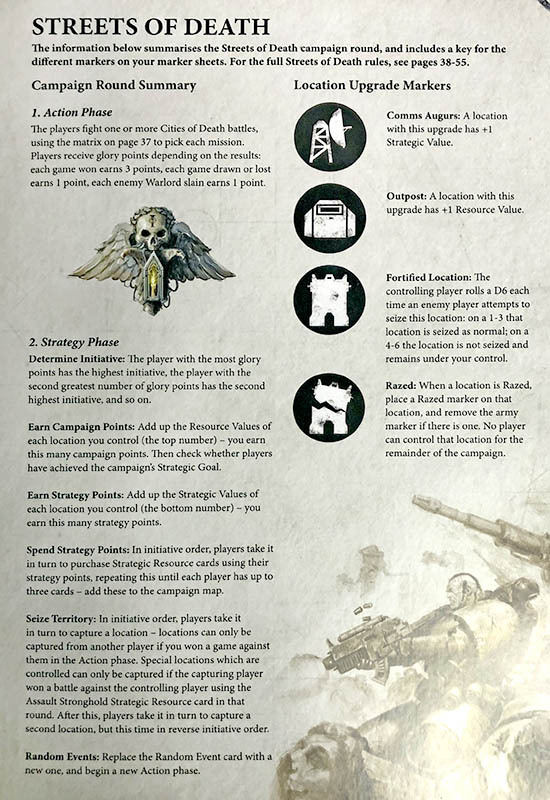 And if that’s not enough, here’s a look at the Streets of Death Campaign round, which details each segment of the unfolding narrative and showcases how you can earn points to spend on the myriad upgrades included in the box. And you can track the comings and goings of your campaign on the handy dandy campaign map, which comes with card sleeves and slots for tracking player cards and everything. 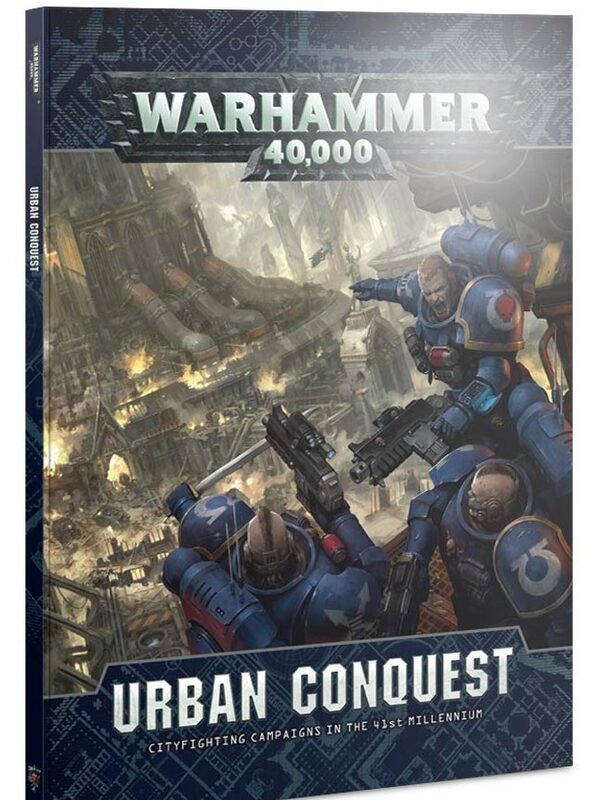 You’ll have a chance to pick up new stratagems in the book as well–all of which are geared towards the specific threats of Urban Conquest, and do wonders to help ground each unit in the city-fighting that’s going on.